With approaching 3 decades of experience each, founding partners Stephen Willis and Louise Oliver pay infinitely more than lip service to delivering the highest standards of professionalism and care. So at Piercefield Oliver we have a team that’s both highly experienced and qualified, and keeps its promises. Stephen Willis has been in the financial services sector for over 25 years having worked for large corporates before setting up Piercefield Asset Management in 1998. 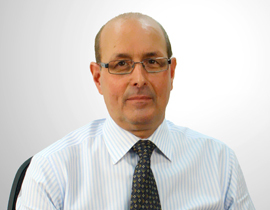 He is a Chartered Wealth Manager and he qualified as a Certified Financial Planner in 2003. Stephen believes in setting high standards within business and has been responsible for Piercefield Oliver achieving Accredited Financial Planning Firm status with the Chartered Institute for Securities and Investment (CISI). The CISI is the exclusive licensing authority for the Certified Financial Planner, which is an internationally recognised certification awarded to individuals who fulfil its stringent requirements and who have been appropriately tested. Stephen has been a dedicated member since 2003. Stephen previously held the voluntary position of Chairman of the Board of Governors at a prep school, which employs 155 members of staff, responsible for 450 children, spanning three nurseries and the main school. Stephen was able to apply his business skills and financial knowledge in helping to support and guide the School’s Senior Management Team during his 3 year term. Stephen has appeared and commentated on both local radio and BBC Radio 4 Money Box on financial matters of the day. Louise Oliver has worked in the financial services sector for over 30 years and is a Certified Financial Planner (CFP) and a Chartered Wealth Manager. 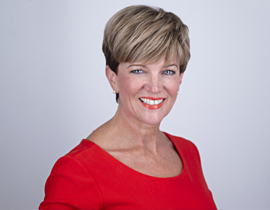 Throughout her career she has been a regular financial expert for the media, including BBC breakfast TV, BBC radio 4 Moneybox and local radio. Louise also appeared as an expert for a BBC Panorama programme which delved into the investment advice provided by the major high street banks. 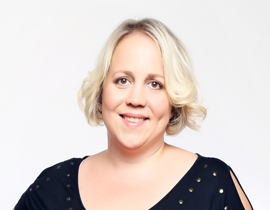 Louise is keenly involved in supporting women in business and is the UK President of the British Association of Women Entrepreneurs (BAWE). BAWE is an internationally affiliated group, the membership is for women who have considerable experience in running their own businesses. BAWE is a network for women focused on optimising business opportunities including international trade. Louise is a Fellow of Royal Society for the encouragement of Arts, Manufactures and Commerce. Louise has a particular focus on the financial services sector and how this can be adapted to promote social change and better understanding. Louise enjoys working with families and individuals to help them to navigate through life’s changes. A particular focus has been with regard to divorce, business sales and bereavement. Louise enjoys adventure holidays in her Motorhome and riding as a pillion on a Triumph Motorbike. She also likes to ski, but wishes she had learnt earlier in life to be more graceful! 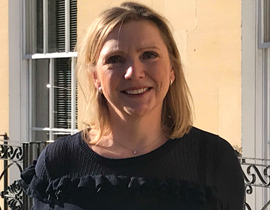 Tammy joined Piercefield Oliver in November 2015 and has over 20 years’ experience in the financial sector, having previously worked at one of the UK’s largest stockbrokers. Tammy is passionate about offering an excellent personal client service and ensures the company’s high standards are kept. Tammy is Level 3 qualified and is working towards her Level 4 CISI Investment Advice Diploma, whilst also juggling a busy family life. Outside of work Tammy enjoys cycling, swimming and baking. She has also recently started family camping holidays, more for the enjoyment of her sons! Janet has over 25 years of office and administrative experience. Originally from Gloucestershire, Janet was Personal Secretary to Senior Chief Officers at Gloucestershire Constabulary from 1997 to 2007, before leaving the UK to live and work overseas. She subsequently held high-ranking administrative and executive assistant roles at large multinationals including Alcatel Lucent, Standard Chartered Bank and SAP – in New Zealand, the UAE and in Hong Kong. Janet is now based in Cheltenham, and passionate about providing personal, approachable & friendly customer service. Outside of work she enjoys keeping fit, walking & foreign travel. Matt joined Piercefield Oliver in November 2016. Since joining the firm Matt has completed the Level 4 Investment Advice Diploma with the Chartered Institute for Securities and Investments (CISI). Matt is committed to continuing his studies and working towards achieving the Certified Financial Planner (CFP) qualification. Prior to joining Piercefield Oliver, Matt previously worked for an independent financial services recruitment business where he established a strong client base and successfully built long term relationships. 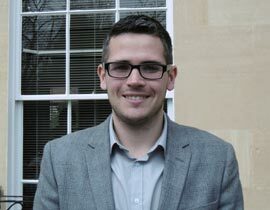 Matt holds a First-Class Hons degree in Business Management (Economics) from the University of Gloucestershire. Outside of work, Matt has a passion for skiing and world travel. Matthew previously worked for a transport company in the live production and events industry, before pursuing a career in paraplanning. 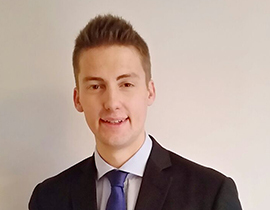 He is a graduate of the University of Southampton having achieved a degree in Mathematics with Actuarial Science, and is looking forward to commencing his studies towards the Investment Advice Diploma. Outside of work he enjoys football, golf and cricket. Carol Wells has worked in the taxation and legal sector for over 30 years and is a Chartered Taxation Adviser, a member of the Chartered Institute of Taxation and the Association of Taxation Technicians. Carol’s career has spanned both accountancy and law dealing with estate planning for private clients. Carol now runs her own company, Jupiter Tax Ltd, advising clients on taxation issues, primarily inheritance tax and trust taxation, preparing Wills and Lasting Powers of Attorney. 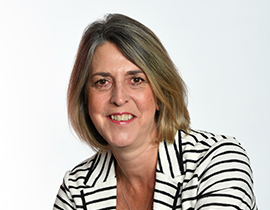 Carol has been Chairperson of the Sheffield branch of the Chartered Institute of Taxation, a Council Member of the Association of Taxation Technicians and for two years was Head of Professional Standards for the Chartered Institute of Taxation and Association of Taxation Technicians. Carol is an experienced lecturer on trust taxation, inheritance tax and estate planning matters and is a member of the British Association of Women Entrepreneurs. Carol focuses on working with families and individuals to help them through the process of organising their affairs to ensure that their wealth will ultimately pass to those they want to benefit and where possible with the least amount of inheritance tax payable. Outside of work, Carol loves spending time in the countryside with her partner John and their dog, Huggie Bear, travelling extensively, skiing when possible and learning to play the piano, which is very much work in progress. 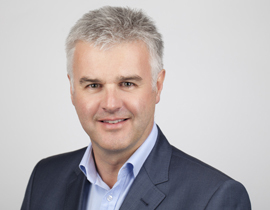 Mark Falnia has worked across a number of international companies in senior general management and Vice President positions to develop and strengthen management teams whilst maximising company profitability and efficiency. Mark successfully gained experience in growing all sectors of a business to build dynamic and progressive organisations. More recently Mark worked for Danaher Corporation, ranked #149 on the Fortune 500 with an HQ in Washington, DC where he successfully transferred several Danaher companies from Europe and Asia into low cost regions. During this period, Mark achieved Supplier of the Year Excellence award from Toyota by cultivating the company’s reputation with customers and suppliers. Mark is passionate about sharing his experience and management tools to help develop and refine the strategy of companies which includes visual management to optimise many aspects relating to sales, quality and customers. Mark enjoys playing golf and gardening and stays fit with a daily regime of gym and walking. Piercefield Oliver is proud to hold Accredited Financial Planning Firm™ status through the Chartered Institute for Securities and Investment (CISI). We have satisfied all requirements for accreditation by meeting the rigorous standards required in relation to ethics, experience, competence and professional practice to deliver effective financial planning services to members of the public. CFP™ certification is the only globally recognised mark of professionalism for financial planners. The Financial Conduct Authority (FCA - the regulator for financial services) requires advisers to have professional qualifications at least to QCF level four. CFP™ professionals have a level six equivalent qualification (similar level to university degree). When seeking objective, expert and trusted financial planning advice you should always look for those who carry the CFP mark. The CISI is the exclusive licensing authority for the CFP™, which is an internationally recognised certification awarded to individuals who fulfil its stringent requirements and who have been appropriately tested. 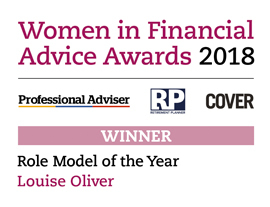 Director of Cheltenham based financial planning company Piercefield Oliver and UK President of the British Association of Women Entrepreneurs (BAWE), LOUISE OLIVER, has won Role Model of the Year at the Women in Financial Advice Awards 2018.